Would you like to support Chrishall Archive? 1. Time is precious, so perhaps just keep us in mind! If you come across documents or artefacts that you think would be of interest to the Archive please let us know. We can photograph or scan items if people do not want to part with the originals. If you see Chrishall items on auction sites such as Ebay and you don’t think we have the item already, please get in touch. DEEDS – we need your house deeds! Well we don’t actually need them of course but if we could have a copy of any deeds you have from Chrishall houses then this would really help with our Through the Keyhole project. Money makes the world go round and Archives are no different. 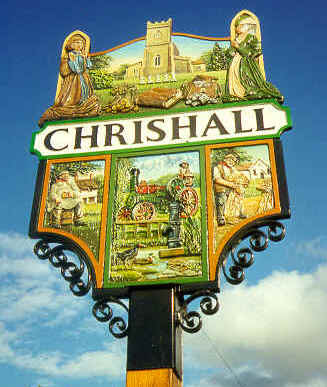 While we don’t have huge costs it is great to be able to buy Chrishall items when we see them. If you would like to give a donation we would be very grateful. materials for displays such as paper, toner, printing posters etc. Please use the donate button below or pop into the Archive when we are open. Thank you again. Choose the amount you would like to donate to the Archive. Please note that we are not currently a registered charity. Donations via Paypal will attract an admin. charge taken by Paypal and are not elgible for gift aid. All monies received by us go directly to support the Archive. Ramblers, Crawley End, Chrishall, Royston, Herts SG8 8QJ. Thank you so much!